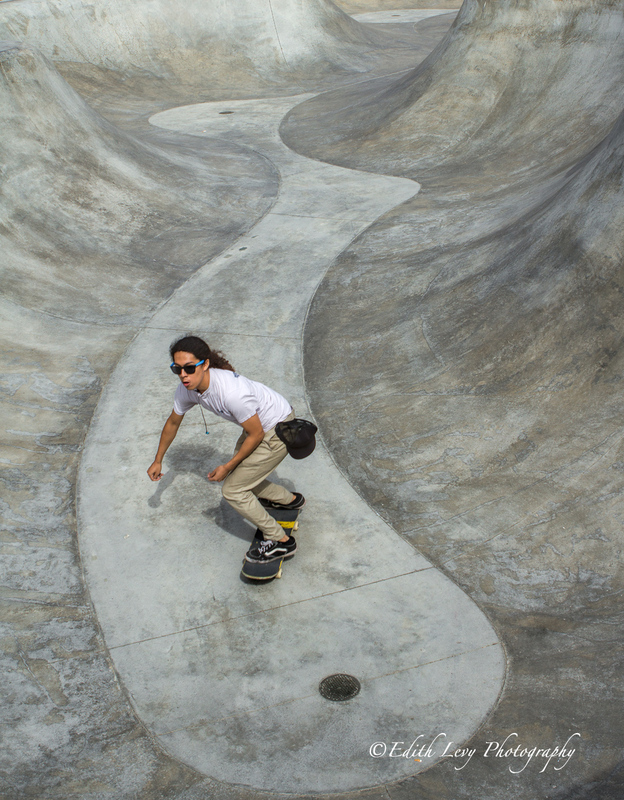 Skateboarding was born in the late 1940’s as a result of surfers wanting to practice their surfing skills when the ocean was calm, hence the name sidewalk surfing. 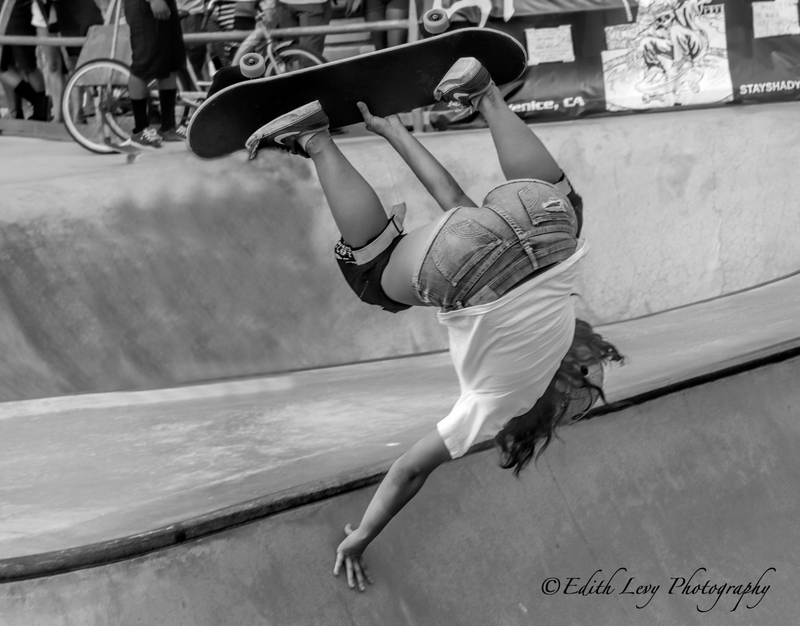 Right in the heart of Venice Beach, California is a skateboard park which was packed on the day I was there. 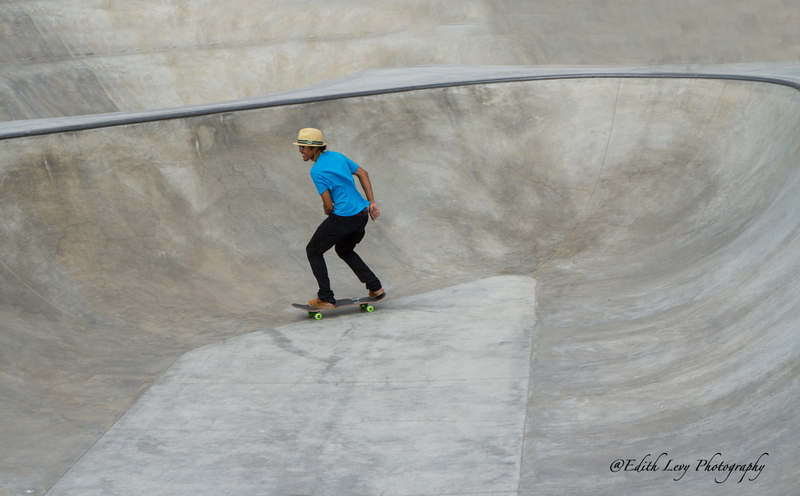 The skateboarders were unbelievable to watch and I had a blast photographing them. It was a good opportunity for me to practice shooting sports/action which I don’t do very often. A section of Venice Beach is a fantastic art gallery. Street artists can create beautiful works of graffiti art (“by permit only” as the sign says) for all to see and enjoy. Here’s a sampling of what you can find. Click on the images to enlarge (it really does look better) or to Purchase a Print. I love Venice Beach…actually I love people watching on Venice Beach. I hope that for those that had an extra long weekend it was filled with lots of family time and good food and that everyone had a wonderful Thanksgiving. 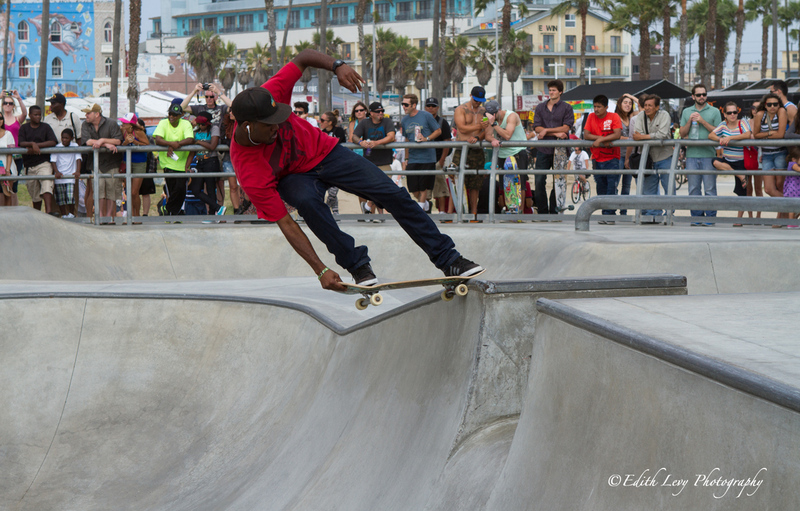 I’ll be sharing some images from Venice Beach this week. 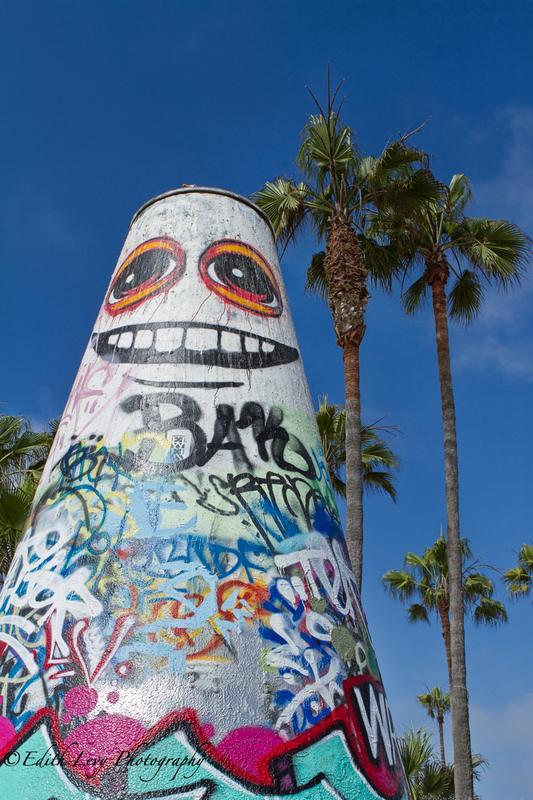 This 3 mile stretch of beach in L.A. is home to street performers, bodybuilders, rollerbladers, skateboarders, graffiti artists, fortune tellers, funky shops and lots of tourists. It’s a great day to spend an afternoon and if the boardwalk gets to be too much then find a spot on the sand and enjoy the ocean breeze and the beautiful view of the pacific. Sometimes you work on an image, where an idea and a pre-visualization of the end result had been percolating for some time and it just clicks. I’ve been waiting to post this image for a few weeks. It’s not often that I’m pleased with the outcome of one of my images (I tend to be my own worst critic) but I was really pleased with this one. This was taken at the same time as the surfing images I posted a couple of weeks ago. I used my 10-stop ND filter in order to achieve a long exposure and I used Topaz Black & White Effects to create the final image. Click on the image to see a larger, high-resolution version (it really does look better) or to Purchase a Print. This week is turning out to be about night photography. I’ve been wanting to shoot Santa Monica Pier at night for some years now. I was in California about 5 years ago on a family vacation and didn’t bring a tripod (I’ve learned from that mistake) and just didn’t make it to take this shot. Well this past July this was definitely on my shooting list. Click on the image to enlarge (honestly it really does look better) or to Purchase a Print. From now until December 25th all products in my gallery are 15% off. 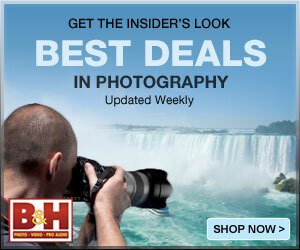 Use the coupon code Holiday2013. It’s Friday…yahoo…and with the weather getting chilly in my neck of the woods (and maybe yours) I thought I’d kick off the weekend with some warmer thoughts. Have a great one everybody!